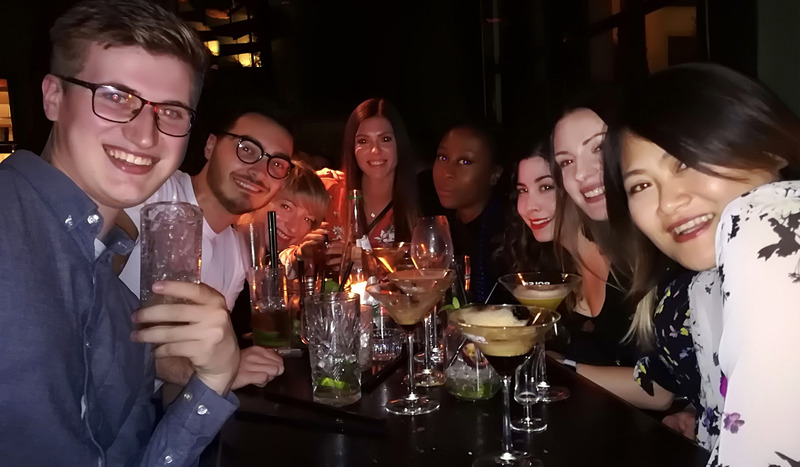 From Friday 9th to Sunday 11th November 2018, the P&W creative team had a fantastic time in Amsterdam, The Netherland’s capital city, celebrating our success over the past year and an early 2018 Christmas together! 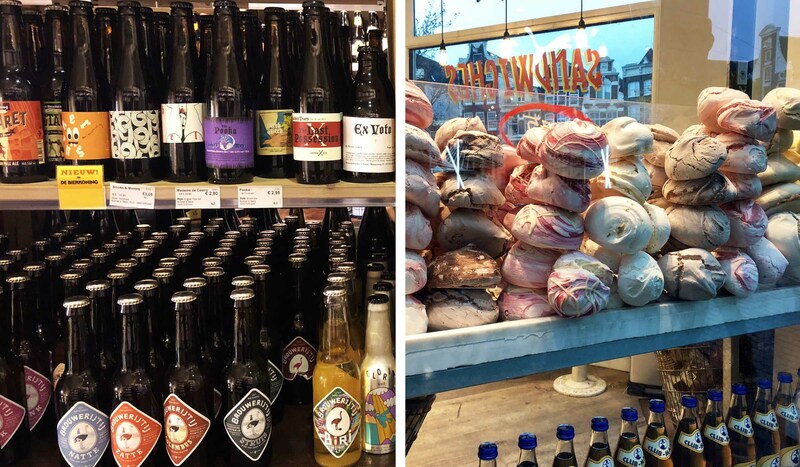 The city really has it all, pretty bridges over picturesque canals, top-ranking art museums, numerous “coffee” shops and much, much more. 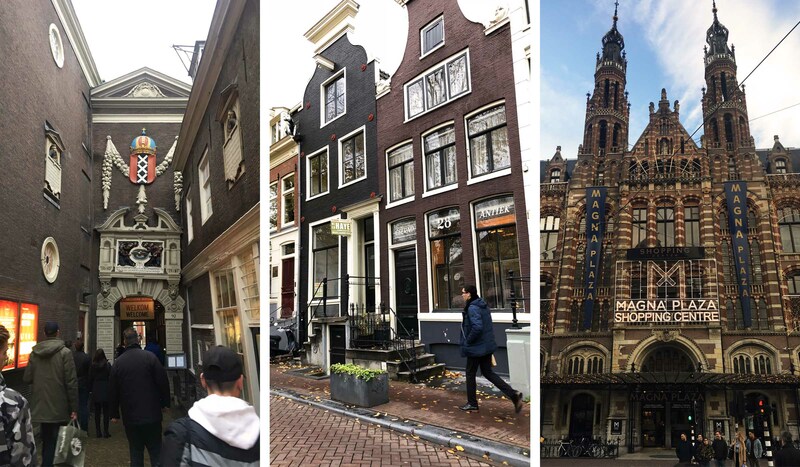 Over our three-day visit (a first for many of us), we were all very impressed by what the city had to offer; the place has a fascinating history but an edgy contemporary vibe. 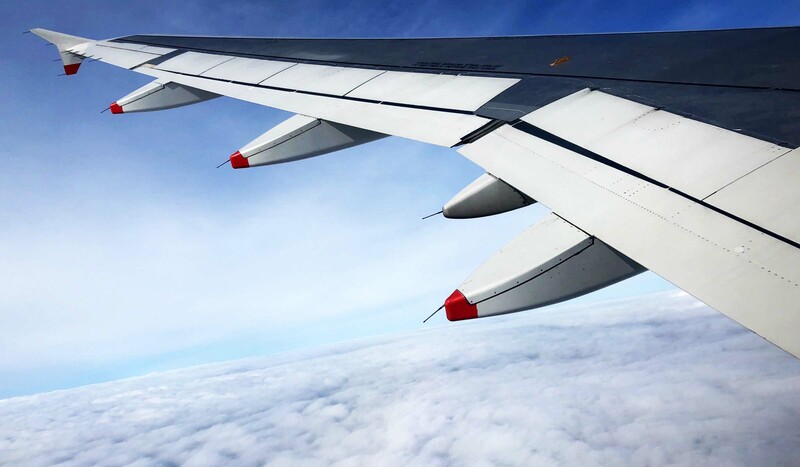 Upon our arrival to Amsterdam Airport Schiphol, we all gathered for transfers to our hotel, the NH Carlton, located in the middle of the city centre. 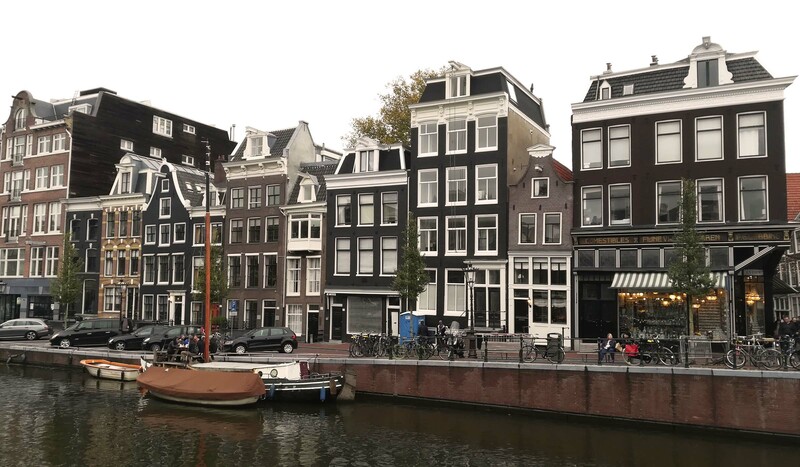 The hotel is overlooking the famous floating Flower Market and just 100 yards from the popular Kalverstraat shopping area. After quickly checking our bags in, we ventured out into the city to find the Anne Frank House museum. 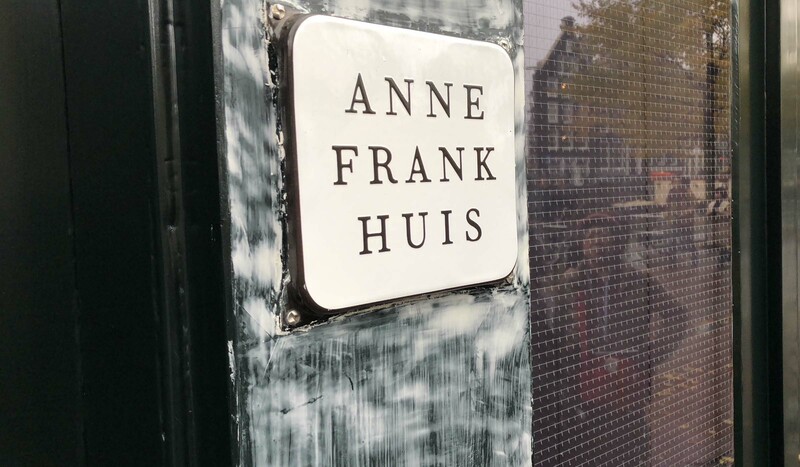 The museum is dedicated to Anne Frank’s life, her diary and the Secret Annex in which her, her family and friends hid for over two years from the Nazis. The audio tour was very informative, fully immersing you in the appalling world Jewish teenager Anne lived in as you walked through narrow passageways and various rooms. We viewed historical documents, photographs, films, interviews and belongings from those hiding, including Anne’s original diary and notebooks. The tour concluded with a compilation of short videoclips, comments made by everyone from Nelson Mandela to actress Emma Thompson on the impact Anne’s life has had on theirs. This was particularly moving, evidence that the wartime diarist has had such a huge global impact and been such an inspiration to so many (and hopefully will continue to do so forevermore). Fascinatingly, Anne’s diary has been translated into 70 different languages and published in over 60 countries. The museum made for a remarkable and thought-provoking visit.It is unquestionably a ‘must’ to do whilst visiting Amsterdam. Afterwards, we ventured to the tiny Pier 62 for a spot of delicious street-food style seafood. 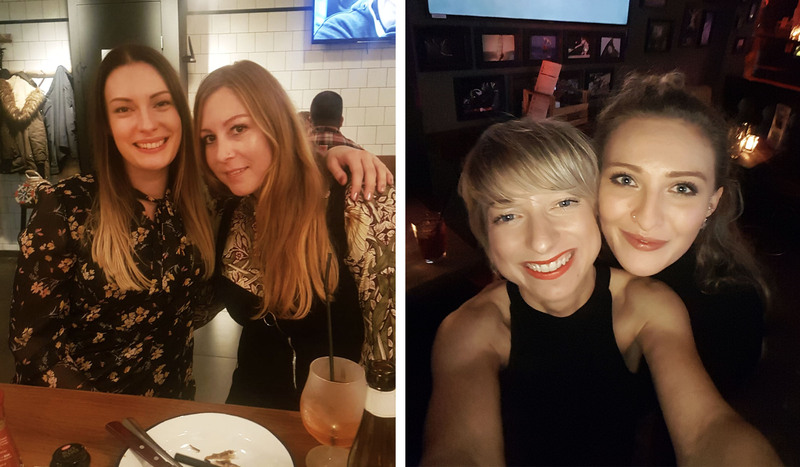 We later wandered to the taxidermy-filled, dark and moody Lion Noir for some extravagantly presented cocktails (and then onto the lively Club Smokey for a dance)! 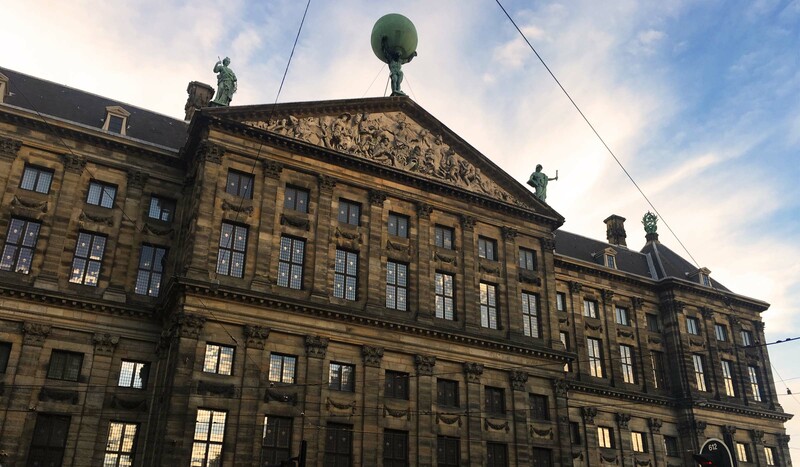 Following a tasty early breakfast at the hotel, we ventured to Rijksmuseum, an imposing building located at the Museum Square dedicated to arts and history. Designed by Catholic architect Pierre Cuypers, the national treasure opened in 1885 and has on display over 8,000 pieces (from their total collection of 1 million). It is internationally revered for its masterpieces by Rembrandt, Frans Hals and Johannes Vermeet. 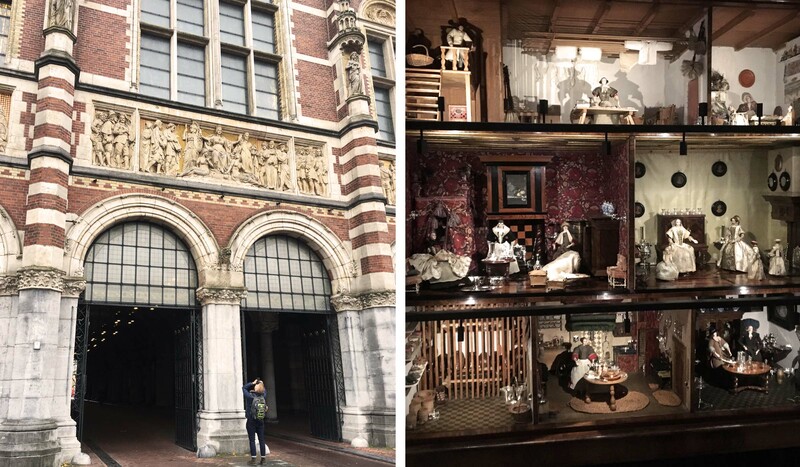 Its expansive collection also includes Asian arts, antique doll’s houses, archaeological artefacts, items from Dutch maritime history and other curiosities. We admired Rembrandt’s The Night Watch (a huge depiction of officers and other members of the District II militia company), The Threatened Swan and countless other 17th century works of art. 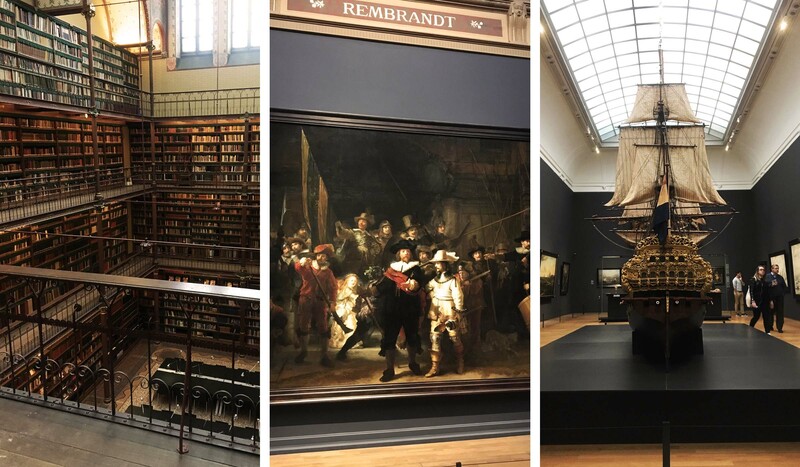 One fascinating room was the museum’s spectacular Cuypers library, a book-lover’s paradise, accommodating The Netherland’s oldest and most extensive compendium of art history books. 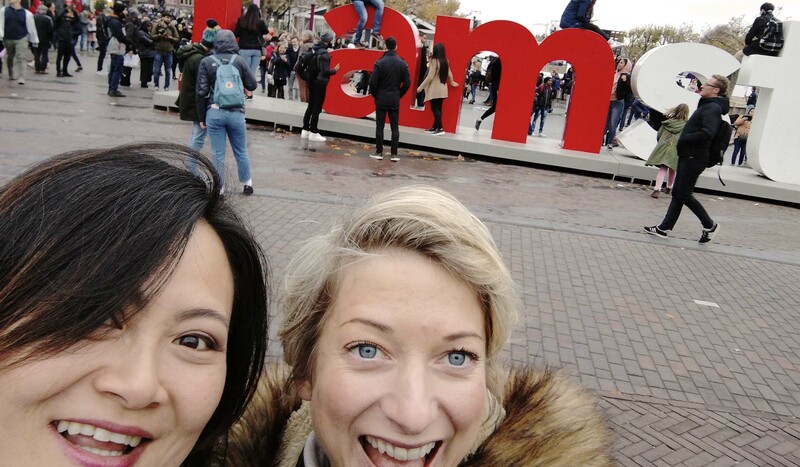 Afterwards, we walked through the Rijksmuseum‘s famed passage with its excellent acoustics (doing justice to some street musicians performing various pieces of classical music), past the ‘IAMSTERDAM’ sign and to the Van Gogh museum. 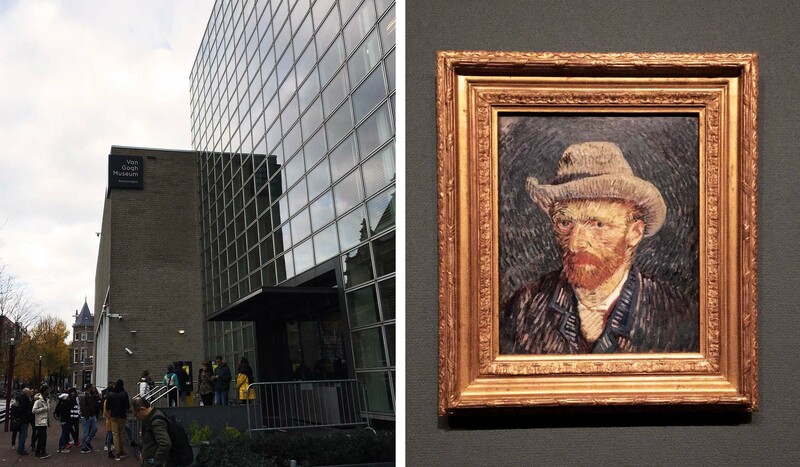 As expected, the museum houses the world’s largest assembly of works by Dutch artist Vincent Van Gogh. Over several floors, the museum articulates Van Gogh’s story in an inspired way from his life as a young man, his first steps as an artist, his various ‘periods’, his hospitalisation and finally, his last months on Earth. Our team studied The Potato Easters, The Bedroom andSunflowers among hundreds of self-portraits, landscapes, sketches, letters and works by artist that inspired Van Gogh (such as Gauguin) and have been inspired by him since (such as Edvard Munch). 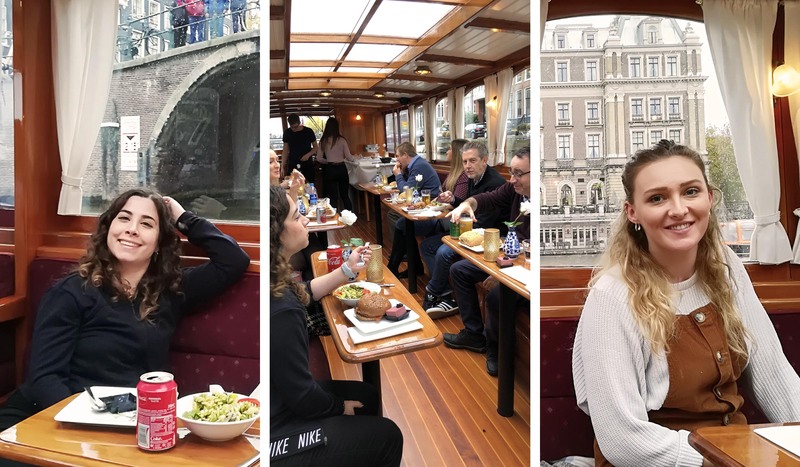 Our next stop was a lovely lunch on a private canal boat, booked through Amsterdam Boat Centre, which took us along Amsterdam’s canals and the River Amstel. The cruise was a very relaxing way of packing lots of sight-seeing in and offering a totally different perspective of the city. 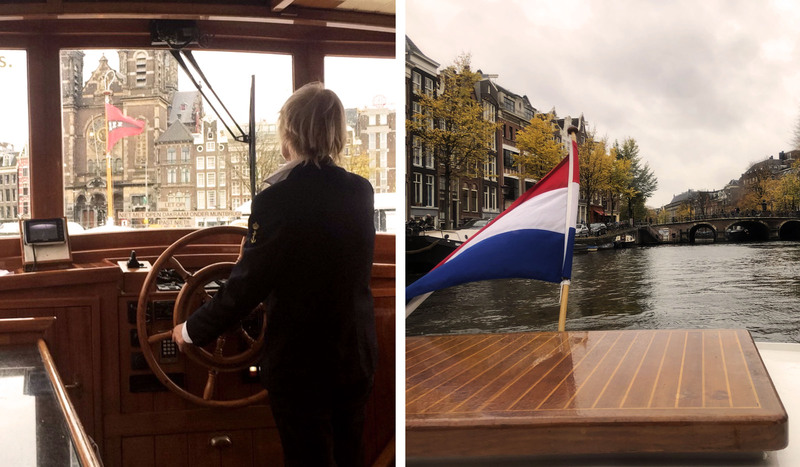 As our swish boat glided along the water, our captain and guide divulged to our group a few facts about Amsterdam’s canals. 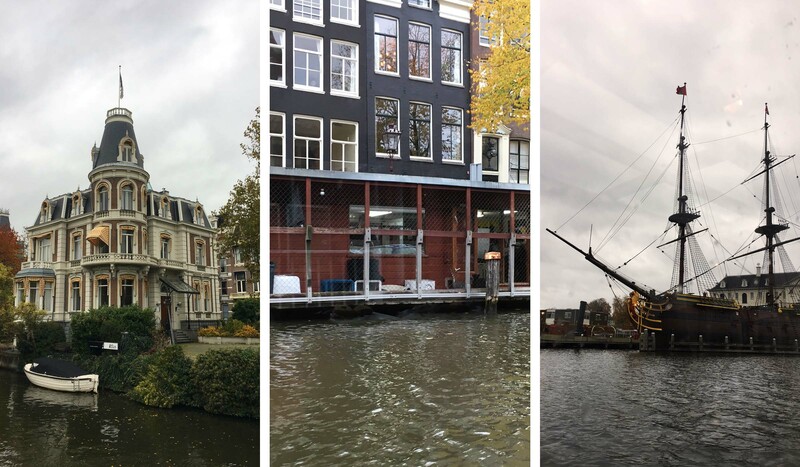 Among other sights, we saw a riverboat cattery, an enormous ‘car park’ for the city’s countless bicycles and the Dancing Houses, some of Amsterdam’s most famously wonky abodes. The city’s buildings are built on soil so swampy that, when originally constructed in the 17th century, wooden stilts were required to secure them. Over time these stilts have decayed causing them to sink into the river, which is why so many of its houses are askew! • The canal water is so clean that Artis Zoo gives it to its elephants as drinking water! 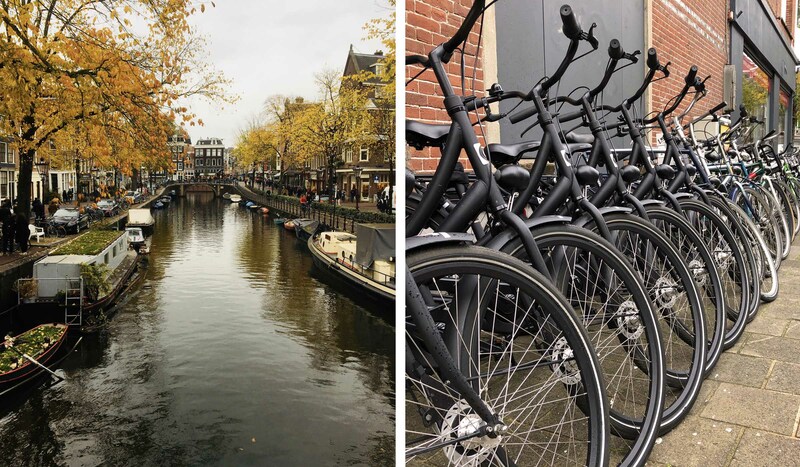 After, our inquisitive P&W team meandered the city’s narrow cobbled streets, exploring the gables houses, antique shops, boutiques and other sights, braving the chilly November rain and dodging the overabundance of bikes and trams. It is true that the city is transformed under the cover of darkness, with lights twinkling off of the water and neon lights juxtaposing against the historic buildings. We put our glad rags on for our evening meal at the unique Five Flies, a ‘culinary museum’ in the heart of the city. 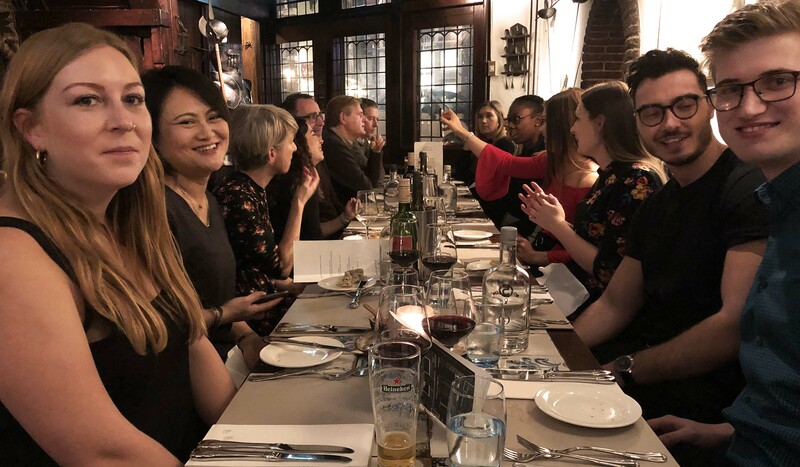 We dined on traditional Dutch food (such as goose breast and Tante Door chicken) in a room of the 17th-century building filled with historic works of art and other fascinating items, including an original suit of armour. Five Flies is home to four original Rembrandt etchings and even features a copper plate engraved with the names of an eclectic assortment of famous people who have visited the restaurant over the years, including Walt Disney, Orson Welles, Mick Jagger and Bruce Springsteen. A few last stops for some people-watching and drinks at various bars concluded our final night! 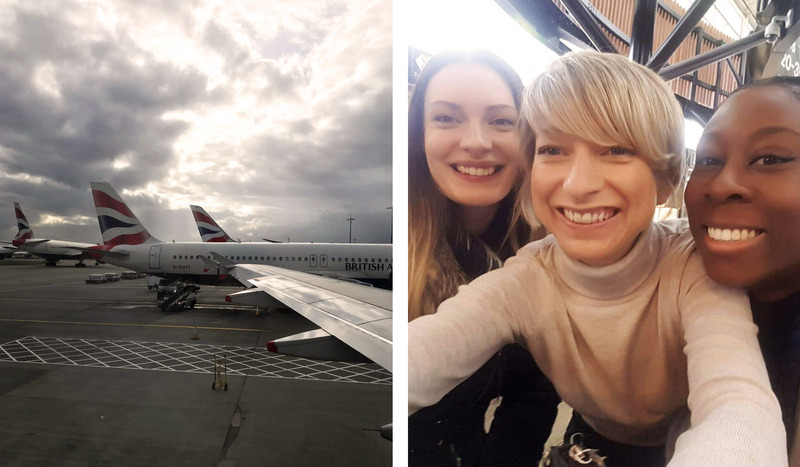 Weary-eyed, we all waved goodbye to the wonderful city on Sunday morning and hopped on our flights back home! "Watch out for bikes and trams when crossing the street! So many near misses even when trying to be vigilant…"
"Keep you eyes peeled when walking the streets! Bikes, tricycles, mopeds, cars, trams and bendy buses." 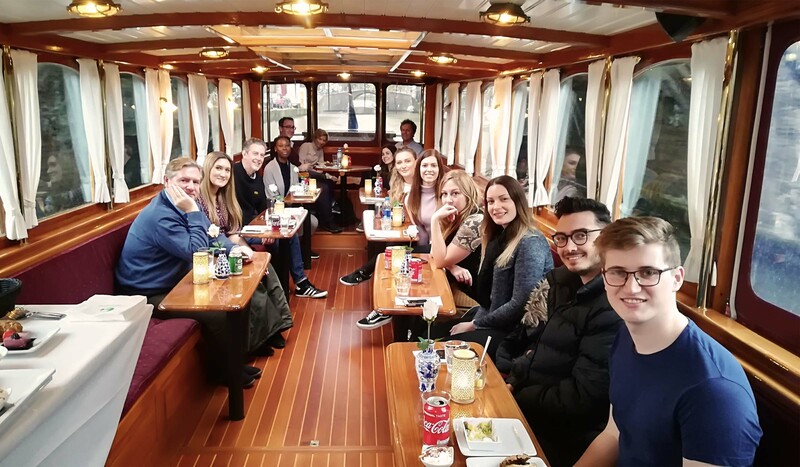 "I'd recommend a boat trip through the canals, as i learnt a lot about the history of the city & the beautiful buildings." "Fish and chips at Pier 62 - some of the best I’ve had!" 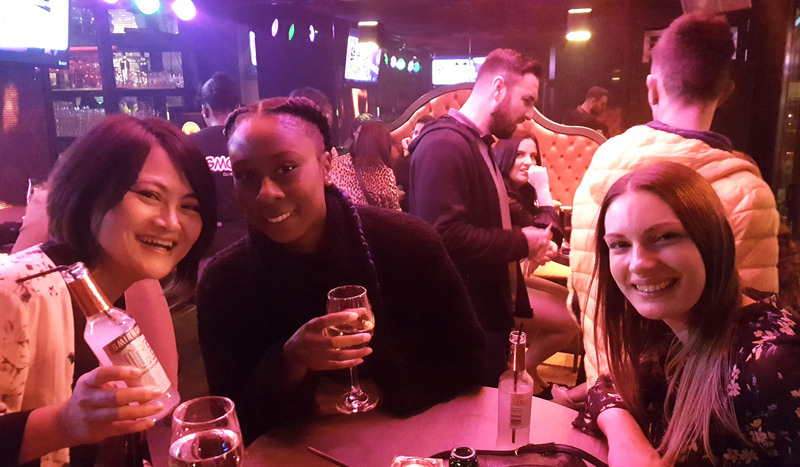 "Hitting the dance floor with everyone in Smokeys & the Anne Frank Museum, although it was very sad it was something i had wanted to see for a long time."